With Tableau 10.3, we’re helping you better scale and manage analytics across the business. From data-driven alerts that keep go-to metrics in your back pocket to improved extensibility for APIs, discover how the Tableau platform brings trusted, actionable data to everyone in your organization. Let’s get to know some of the enterprise feature highlights from this release. Select the viz you want alerts about. Click its axis and choose Alert. Decide when to send it. Now you’ve got notifications in your inbox, when you want them. Site administrators can choose to enable or disable the feature in Site Settings. They can also view the list of all alerts created on a site, set the owner, edit, or delete the alert. With new administrative views, site admins can review which alerts are running on their server, how frequently, and if there are any issues to address. To hear from the feature developers directly, and learn more about getting started with data-driven alerts, read Staff Product Manager Zac Woodall’s blog post. Recommended tables and smart joins evaluate content published to your Tableau Server to recommend relevant tables and provide smarter default joins. These features will save you time getting data ready for analysis by making it even easier to find and combine your data. And since the Recommendations Engine uses machine learning, the recommendations will get better over time as your databases get used more often. Learn more about using smart table and join recommendations with Product Manager Graeme Britz’s blog post. If your organization uses ServiceNow to deliver and manage their IT services, you’ve probably wished for robust reporting capabilities to dive into the data. 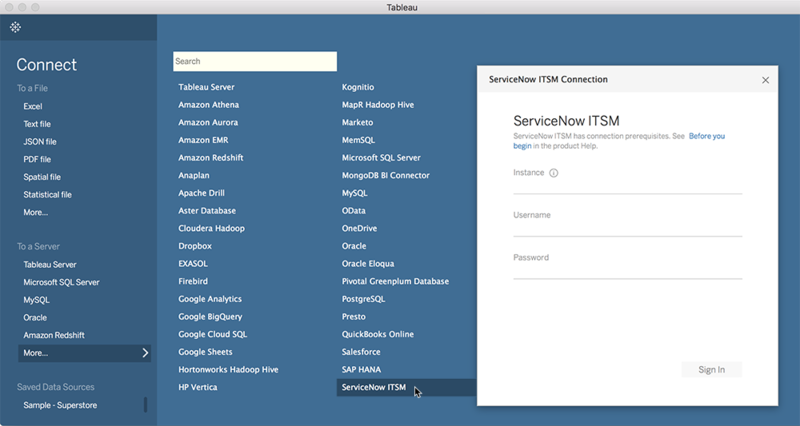 In Tableau 10.3, you can connect to your ServiceNow ITSM information to see patterns in your service delivery data—and take direct action. If you’re an AWS user, check out the new Amazon Athena connector. You can now quickly and directly connect Tableau to your Amazon S3 data for fast discovery and analysis, with drag-and-drop ease. Learn more with Sr. Product Manager Jason Burns’s blog post. For a full list of new connectors available in Tableau 10.3, check out New Features: Connectors. The all-new Tableau Bridge enables a true hybrid data environment in your organization. Publish dashboards to Tableau Online and maintain a live connection to any data source behind a firewall. The Tableau Bridge centralizes the administration of queries to on-premises data. With 10.3, Tableau Online site admins are now the only users with permission to enable live queries. This approach helps your organization govern connections to data residing behind a corporate firewall, and enables administrators to easily limit the number of concurrent queries in order to manage computing resources and ensure the Tableau Bridge’s availability. Tableau Bridge is available by limited release. If you’re a Tableau Online site admin, keep an eye out for an email invitation: Let us know if you are interested, and we’ll flip the switch for your site’s Tableau Bridge after we receive your signup. 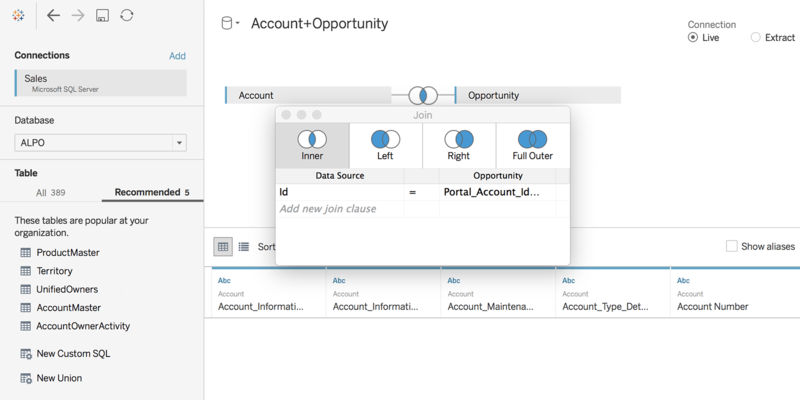 To learn more about getting started with the Tableau Bridge, read Senior Product Manager Dave Reeck’s blog post. In Tableau 10.3, workbooks that connect to extracts on Tableau Server will load significantly faster. Why? 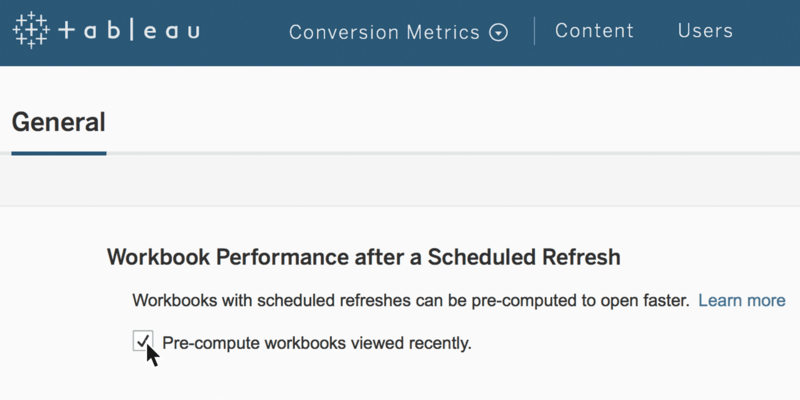 Tableau now automatically pre-caches queries for all views in a workbook, directly after an extract refresh, for faster performance on initial user load. Tableau’s REST API has seen improvements across the board, starting with tagging support. We’re making automate and embed scenarios even better by giving you the ability to add and remove tags on data sources and views. You can also query for a list of all sites you have access to. Plus, users can now easily switch sites using the REST API. You need access to data and dashboards wherever you are—and that’s exactly why we’re making it easier for you to conduct analysis in the browser. In Tableau 10.3, you can create and edit stories online, control more mapping display options, format number controls with a click, and create bins for more agile analysis. Tableau Online users can even create custom subscription schedules to their favorite vizzes, so they can regulate when subscriptions are delivered. Plus, administrators can publish embedded data sources directly from the browser, enabling more people to ask and answer questions on the fly. Making data-driven decisions has never been easier. The Tableau Mobile for Android app has been upgraded with easy site-switching and an all-inclusive toolbar that creates even more room for your viz. Universal linking for Tableau Online opens viz links directly in the Tableau Mobile app, and smart banners for Tableau Server prompt users to install the app when viewing a viz in a mobile browser. No matter which way you slice it, you’ll get hands on your data with Tableau. 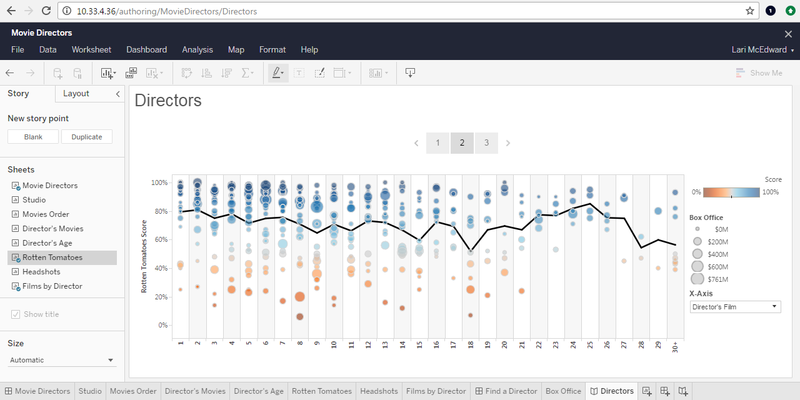 These are just a few of the dozens of new features in Tableau 10.3. Check out the full list. 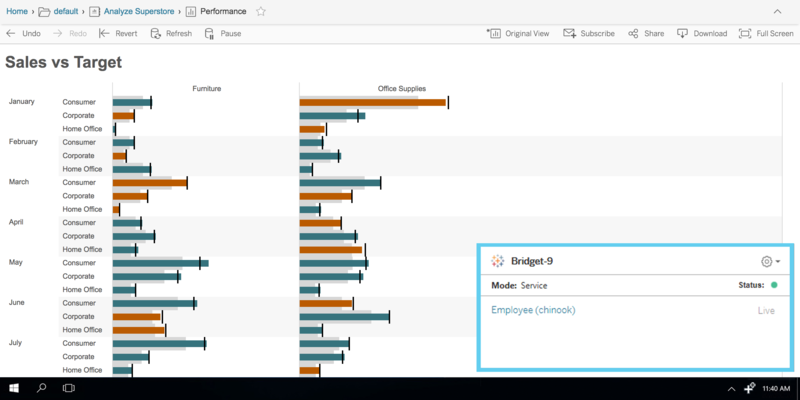 Features in Tableau 10.3 shine a light on productivity for analysts and business leaders alike. Smarter data access for the analyst brings new connectors, from PDF to ServiceNow. Recommendations based on machine learning suggest relevant tables and joins. Plus, the Tableau Bridge gives Tableau Online users live access to on-premises data. Stay on top of the business with functionality meant for scale. Data-driven alerts keep your finger on the pulse of your analytics, and web authoring and mobile improvements keep everyone asking and answering questions of their data. Have great ideas? We want your input! Share your thoughts on our Ideas Forum. And check out our beta program to send us feedback and get early access to new features. saw your article "Tableau 10.3 engages the entire organization with these enterprise features." good stuff. was curious if ServiceNow PPM in addition to ServiceNOW ITSM will be available a data source.